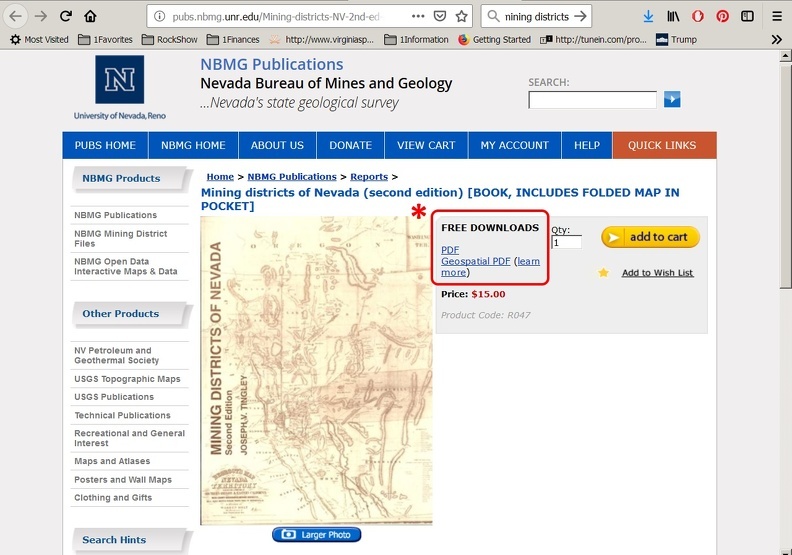 Why pay $15 for the book? 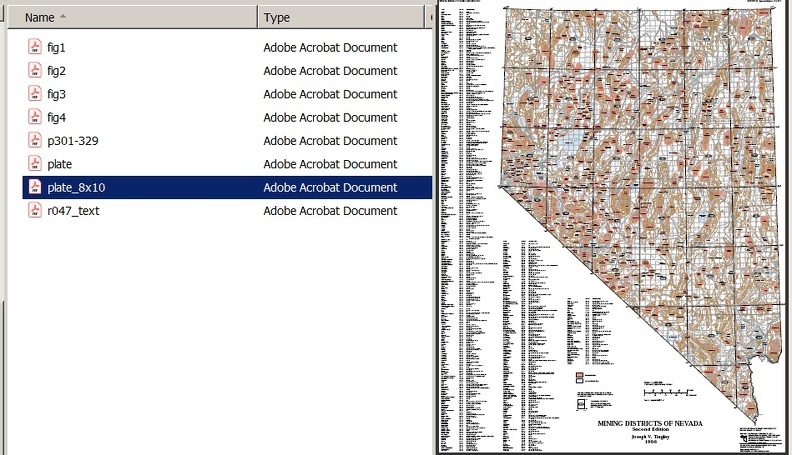 - What you get is the whole book in 8 files. Better than the book, you can zoom in on any part. 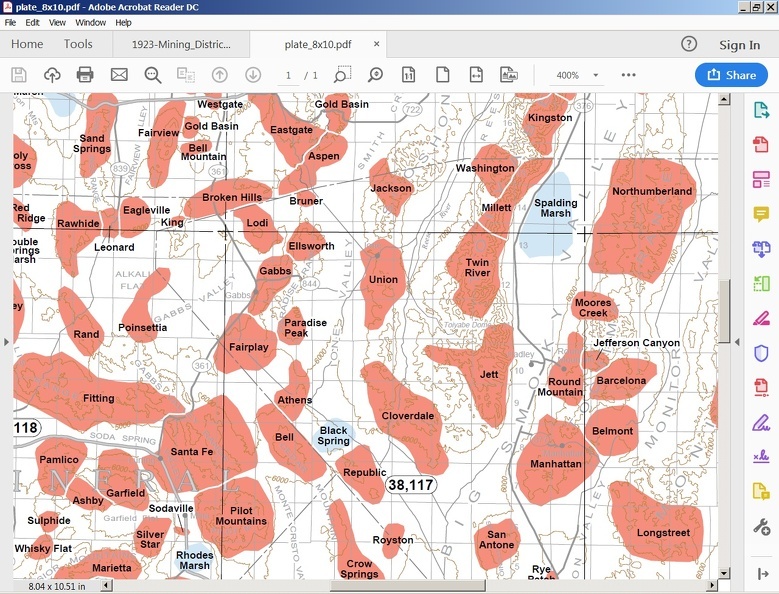 Red is a Metal Mining District, Blue = non metal district. 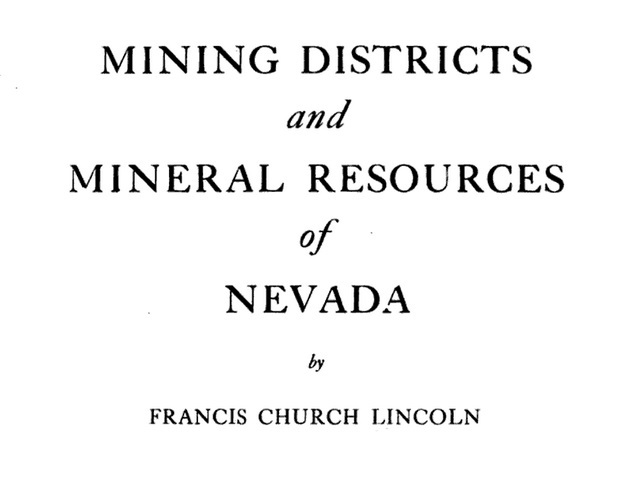 —one on mining districts and the other on, mineral resources. 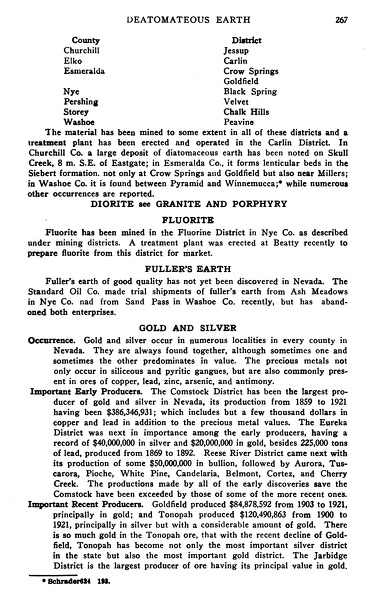 The section on mining districts is modeled in a general way after Hill's bulletin, but gives more extended descriptions and includes mining as well as geological information. 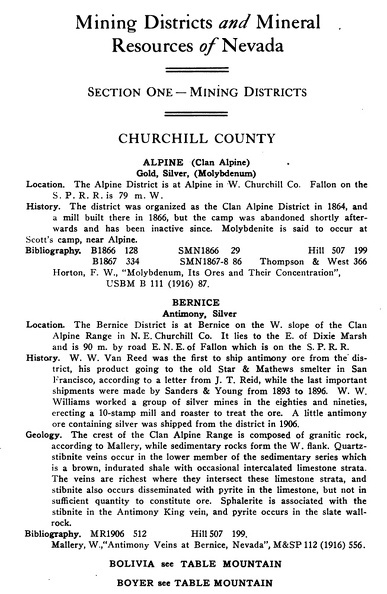 The map which accompanies this book shows the approximate location of each of the mining districts described. 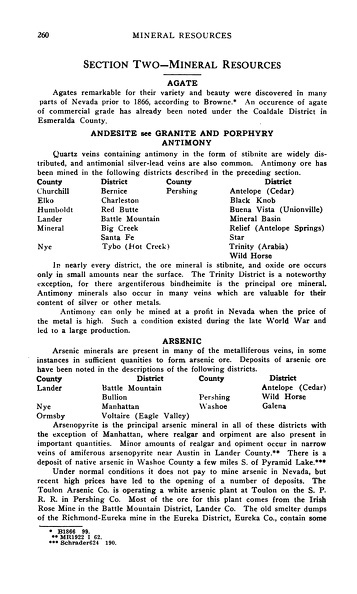 The section on mineral resources provides a cross reference by useful mineral substances to the section on mining districts, besides noting many localities not included under districts and containing a number of production tables and bibliographies of individual resources.